Cyril was born the son of a coal miner in Goginan, near Aberystwyth, Wales. In 1927, at the age of nine, he sailed with his family to Canada on the S.S. Montcalm, arriving at St. John, New Brunswick. They travelled by 'emigrant train' to Vancouver, then by boat to Comox where they were assigned land on Ryan Road in the Little River/Lazo area. Cyril, with his three brothers and three sisters, swelled the enrollment at Lazo's one room school located at what is now the Glacier Gardens Ice Rink. Their playground was the land that is Canadian Forces Base Comox. The farm did not bring in enough money to support the family, so all members had to help out. Cyril had a lengthy Vancouver Sun newspaper route in the Kye Bay-Anderton Road area, and he hand-sawed wood that sold for $3.00 a cord. Cyril was a top student, always achieving the highest marks in his class. He graduated from Comox High School in 1938, joined the Royal Canadian Air Force, and trained as a meteorologist. In the early years of the war he was assistant Meteorologist at Camp Border. As he saw the wartime trainees stationed there get their wings, he decided to fulfill his ambition to fly and remustered, receiving his wings on September 25, 1942 with the rank of Pilot Officer (P/O). P/O Cottingham embarked for overseas on October 28, 1942. Following completion of twin engines training at Ossington, England, he was assigned to operational flying. He made two bombing missions to Milan, Italy. On one of them, as he returned by Switzerland, his plane became badly iced up, but he eventually made a successful, heavy landing in England. In March 1943 he was promoted to Flying Officer (F/O) and posted to 49 Squadron, #5 Bomber Group, Royal Air Force, stationed in Fisheston, England. On 22 November, 1943, F/O Cyril Cottingham and his crew of six men went missing after an air raid over Berlin, Germany. It is believed that they went down in the North Sea. 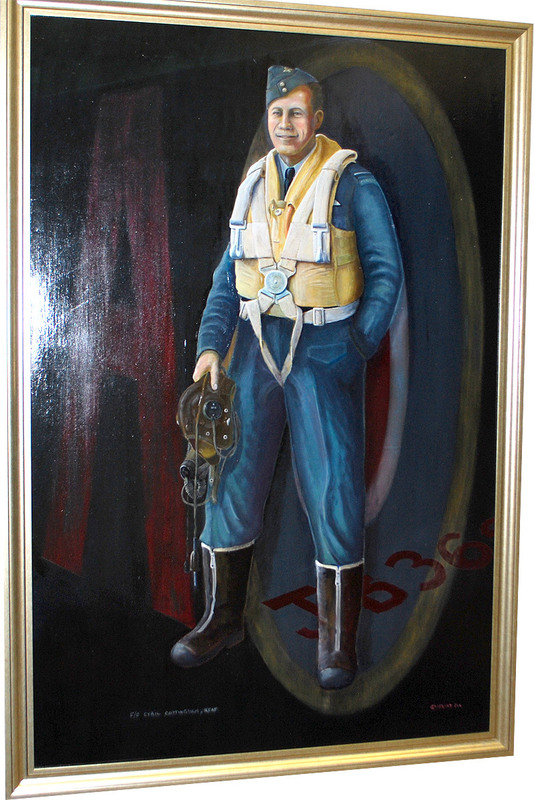 Cyril, age 25, the pilot and Captain of Lancaster JB 369 was on his 19th mission. He did not win a chest of glorious medals, but like so many Canadian servicemen, he 'did his duty' and paid the highest price. The naming of this air terminal building after F/O Cottingham recognizes him as one of many who, through aviation and association with the Comox Valley, have contributed much to this community and to Canada, and thereby are part of our valuable heritage.